The treasured "Three Generation Slipper" knitting pattern is finally being shared with you! Perhaps it will inspire many new knitters in the creative hobby of hand knitting. But if you just enjoy machine knitting, we didn't leave you out either --- check out the identical pattern written as the 'machine knit version' also available in our online store. 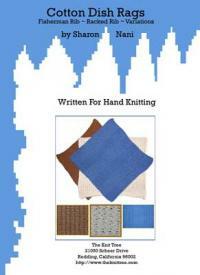 This is a 'beginner level hand knit pattern' using stockinette stitches. It uses a simple slip stitch method to create the shaped heel and toe with only two knitting needles. It uses US needle size 9, so they are fast too make and only take 1-3 ounces of yarn dependant upon the size you choose to knit. Tips are included for several yarn choices to pick from: worsted weight yarns, acrylic / nylon blends, or cotton. Interchangable yarns that will result in approximately the Stitch and Row Gauge required for this slipper pattern. Then you have the choice of following a knitting diagram template, a knitting chart for the seven slipper sizes, and detailed step by step instructions for the knitting procedures. The Three Generation Slipper has been a favorite Bread & Butter Basic knit item since the 1970's. The form shaped heel and toe allow for a great fit. The fiber mixture of 60% acrylic and 40% nylon give it the strength needed for longer wear and easy care. The versatility of sizes baby through extra large meet the needs of all. Over three generations of knitting this slipper, the fit of approximate 'shoe sizes' were determined. Of course 'width' of foot will become a personal matter for you in determining your size. These sizes were based on an average width. A sizing tip is included on how to adjust for different foot lengths as desired. Sharon Nani has been writting instructional patterns and knitting programs for schools, industry, and magazines for over 30 years. Watch for more of her patterns coming to this online shopping catalog store.